After more than 15 years in the real estate industry, Mary’s gained incredible experience, become a tough negotiator, learned to channel her boundless energy, and how not to sweat the small stuff. A native Mainer with a deep connection to the coast, Mary throws herself into every client relationship as if she was doing it for herself. She puts herself in her clients’ shoes—gets to know their wants and desires and uses her ingenuity and business savvy to bring all the moving parts together. 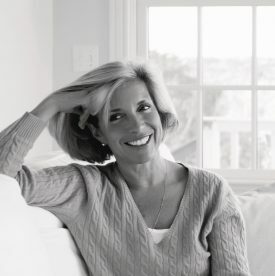 Mary began her career as a realtor in Cape Elizabeth focusing on waterfront properties, but has since expanded her practice area to cover all of southern Maine. Mary has deep connections in the industry and knows how to work her network to find the right property for you. Even before it’s put on the market.